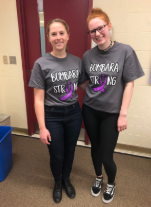 Journalism advisor, Ms. Dobosz, and writer, Mariana Rule, wore Bombara Strong shirts to show their support. 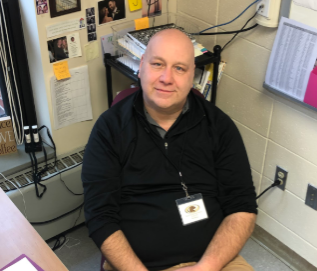 On March 28th, the student body and faculty showed their support for Dr. Bombara as he goes through this difficult time by wearing ‘Bombara Strong’ t-shirts and the color purple, to represent pancreatic cancer. The t-shirts were on sale in the counseling the past week for fifteen dollars as well as bracelets. 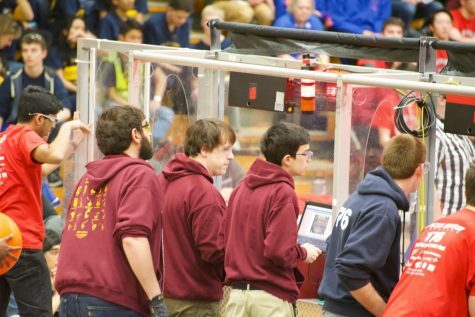 Many students and teachers participated in this event because all proceeds raised will be donated to pancreatic cancer research as Dr. Bombara himself currently is battling that type of cancer. Lauren Landino wore her Bombara Strong shirt to school. Dr. Bombara is a wonderful person and through everyone’s support this past week he was truly shown how much people care about him.